Great success for us! 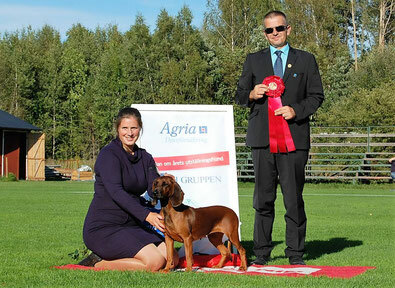 Our Whispering Word's Pure Gold(Tinto) became Swedish Trophy show Winner 2018 and his sister Whispering Word's Play and Chillout(Puma) became runner up! World Winner 2017 in Leipzig! miniature bullterrier Whispering Word's Pure Gold was excellent and finally chosen to the best 9 out of 19 in champion class! Bavarian mountain hound - 41 entry! Evar Z Babinej Hory - BOB, JWW 2017, Best junior in breed, Best in 6th group junior 4, Best in show German breed 4, became German Junior Champion! 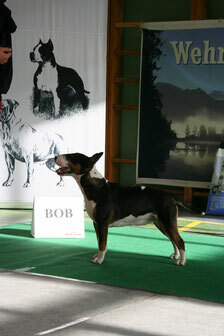 Whispering Word's Chocichino won intermedia class, became 4th best female and new German Champion! 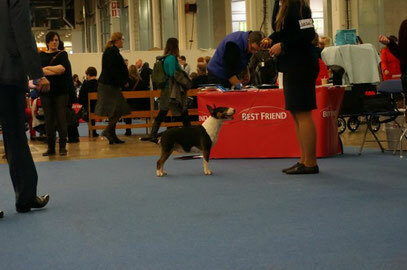 Genius Pathfinder won Champion Class and became 2nd best female in breed, also got VDH Certificate! 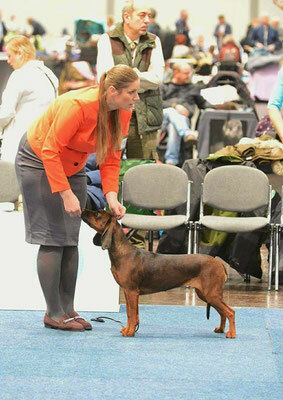 Evar Z Babinej Hory - Junior Certificate, Best junior of Breed, German Junior Winner, BOS!!! Whispering Word's Chocichino - VDH Certificate, RCACIB, 2nd best female!!! Genius Pathfinder - 2nd in Champion class! 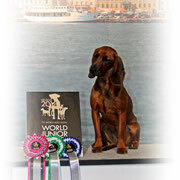 Whispering Word's Pure Gold won Champion class and got VDH Certificate! 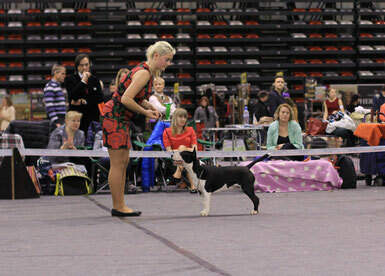 Ventspils National dog show in Latvia with super success! National Dog Show Kurzemes Winner 2017! 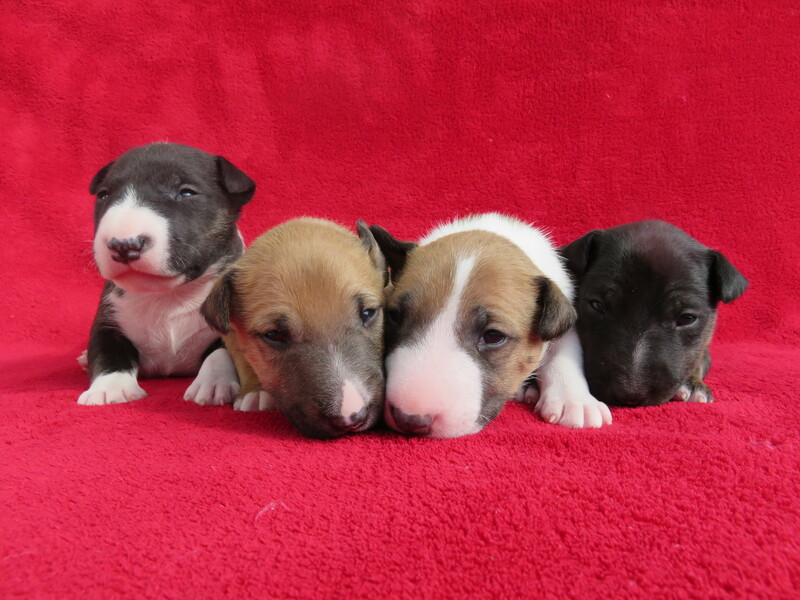 Miniature bullterrier Whispering Word's Pure Gold - CAC; BOB; BIG4! New Champion of Latvia! 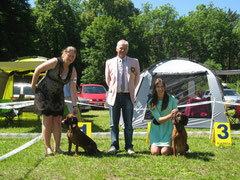 Bavarian mountain hound Evar Z Babinej Hory - JCAC; BOB at his first show in life! Evar Z Babinej Hory - JCAC, BOB, BIG2! Whispering Word's Real Beauty(Viska) - 1st in junior class! 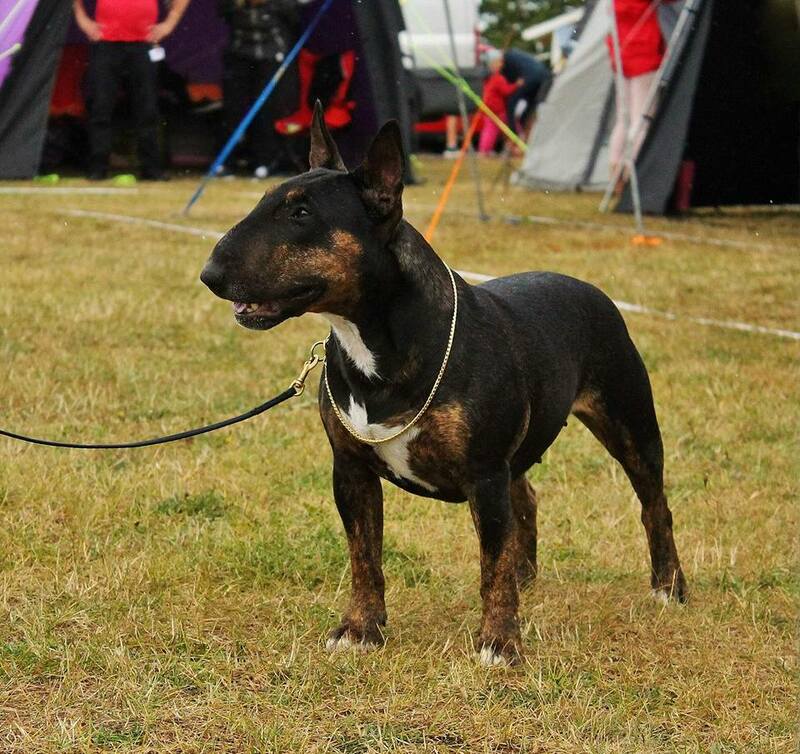 Vestbull Citrine Black Beauty(Keira) was 1st in very big class and became 2nd best female in very strong competition! We participate in couple class with Keira and Tinto and we Won it!!! Great weekend for our kennel Whispering Words! 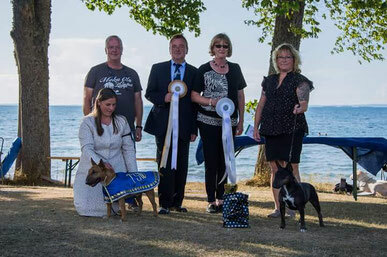 At national show in Västerås our miniature bullterrier Whispering Words became Swedish show champion and Best of breed, was shortlisted in big terrier group! Our bavarian mountain hounds Harbackens Nitro became best veteran in breed and 2nd best male after stunning champion male and upcoming star Whispering Words Chocochino got her 1st Cert and became best of oposite! 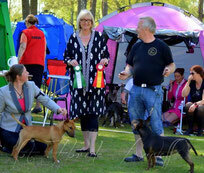 Whispering Words at Swedish Terrier clubs speciality show! 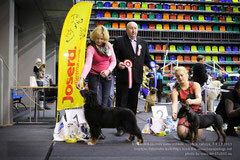 Our golden boy Whispering words Pure Gold became best male, best junior of breed and finaly was BOS beated by his mother Citrin Black Beauty who got BOB! 24 breed entries judged by breed specialist Penny Sands (Krakenexis)! 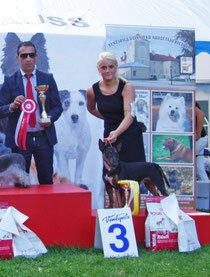 Our Citrine black beauty became Russian champion! 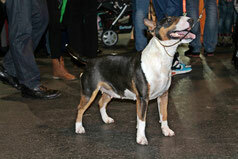 Miniature Bullterrier Vestbuu Citrine Black Beauty -became Show Champion of Sweden! 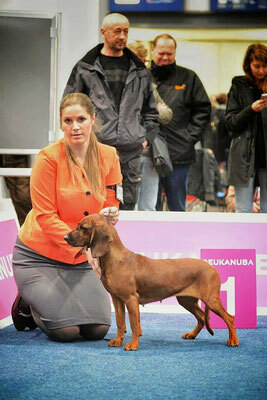 Bavarian mountain hound Genius Pathfinder is Interchampion now! 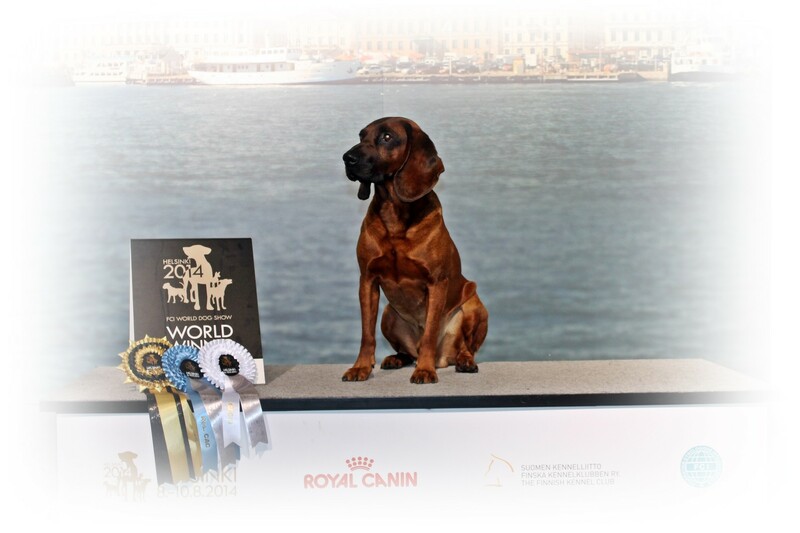 Our Bavarian Mountain hound Genius Pathfinder was BOO and CACIB; EUW2015 and became Norwegian Champion and Champion of Nordic countries. Whispering Words Probobly The Best both days was BOB puppy and placed in BIS Puppy! 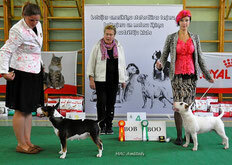 Vestbull Citrine Black Beauty Both days was BOB, became Latvian Champion and her mother Allatlantica Marvel was BF2. 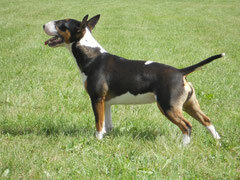 Bullterrier Atiamo Beauty for Whispering Words was BOB and BIG3! Genius Pathfinder - exe; CQ; CAC; CACIB; Latvian Winner 2015! And new Latvian Champion! 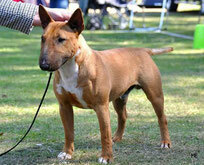 Miniature Bullterrier: Vestbull Citrine Black Beauty - exe; CQ; RCAC! Good results at IDS show in Österbybruk(Sweden) today our Genius Pathfinder - exe; CQ; CAC;CACIB;BOB BIG4; new Swedish show champion! New pictures of ''P'' litter! Swedish szhweisshound club show 2015! 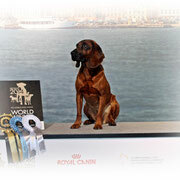 Genius Pathfinder at speciality show with 33 entries of bavarian mountain hounds became BEST OF BREED! 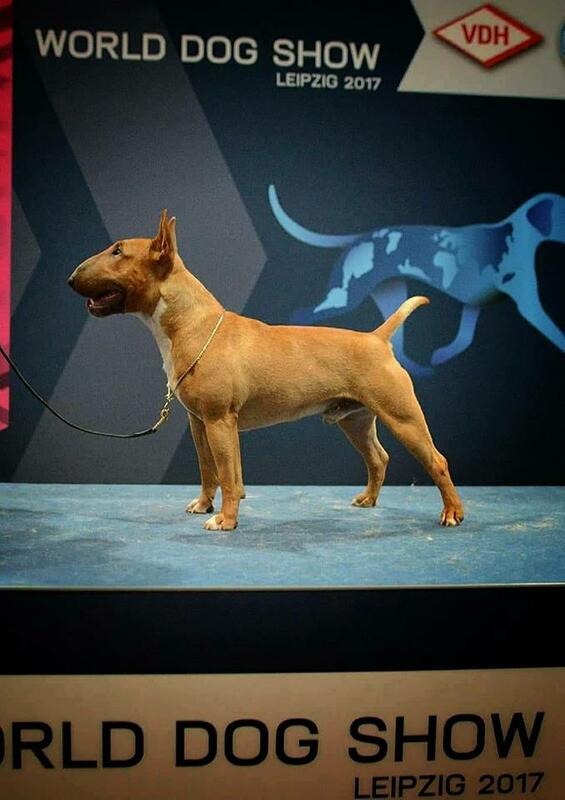 Our bullterrier girl Atiamo Beauty for Whispering Words is Swedish Junior Winner 2015! 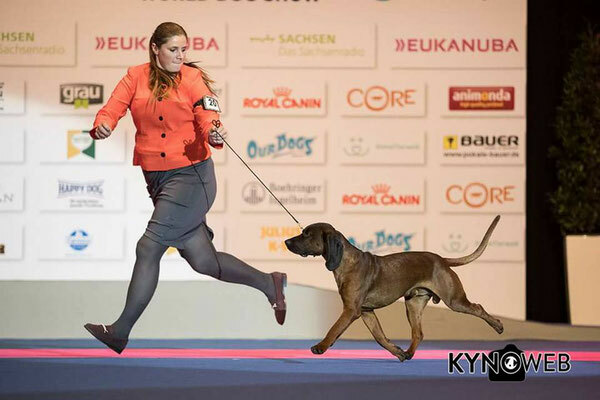 Our Bavarian mountain dog - Genius Pathfinder got CAC, CACIB, BOB, Swedish Winner 2015 and BIG3! 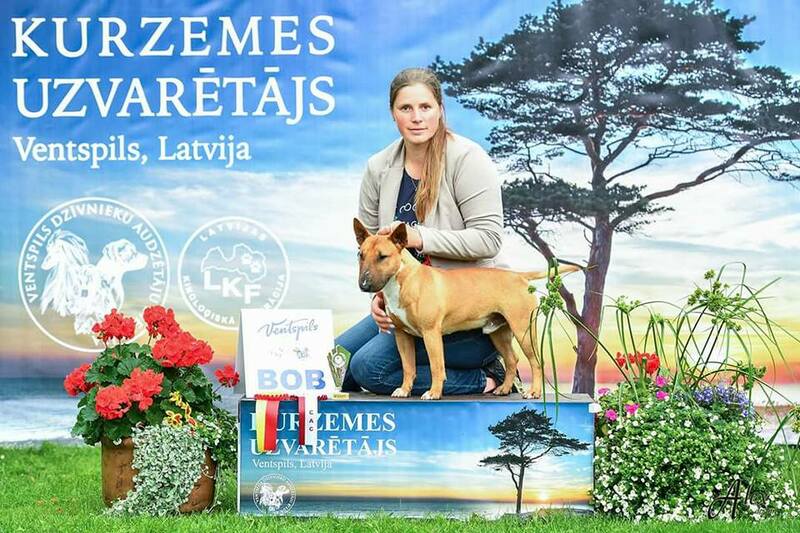 Two days in national shoyw in Valmiera(Latvia) our little Atiamo Beauty for Whispering Words was BOB puppy and second day BEST IN SHOW PUPPY! International show in Gimo(Sweden) 13.09.2014. 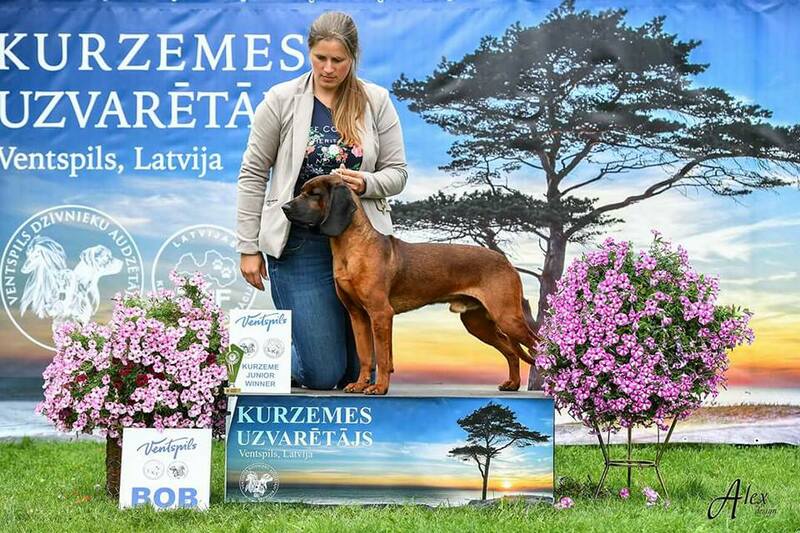 Our little star Vestbull Citrin Black Beauty at National dog show in Ventspils was Best of breed 2 days in row and became BIG3 and now she is Latvian Junior Champion! 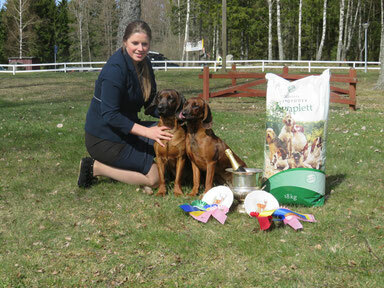 Biggest thanks to our best handler Samanta for results! Our Genius Pathfinder is Swedish hunting champion now! Just 15 month old! Harbackens Nitro - exe; CQ; RCAC; CACIB; World Winner 2014! Genius Pathfinder - exe; CQ; CAC; World Junior Winner 2014! National show in Palanga(LT) 08.07.2014. Genius Pathfinder - New Swedish tracking champion! Genius Pathfinder - exe; CQ; CAC; BOB; BIG2! 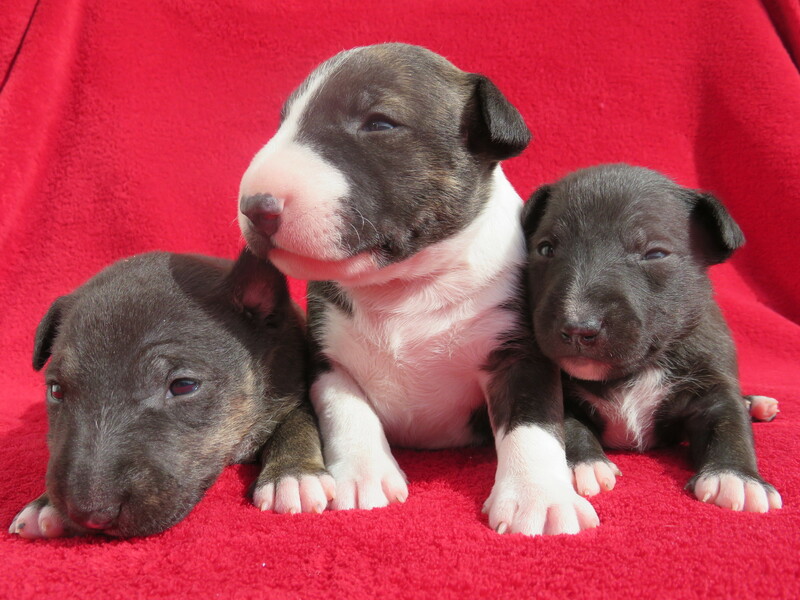 Vestbull Citrine Black Beauty - BIS PUPPY 5! 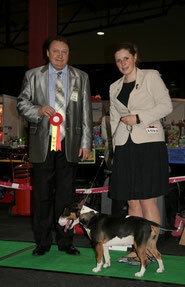 Allatlantica Marvel - CAC; CACIB; BOB; New champion of Sweden! 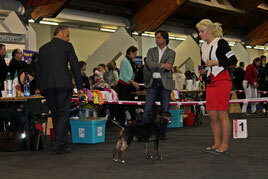 Vestbull Citrine Black Beauty - Best puppy female in breed! Thanks to judges! 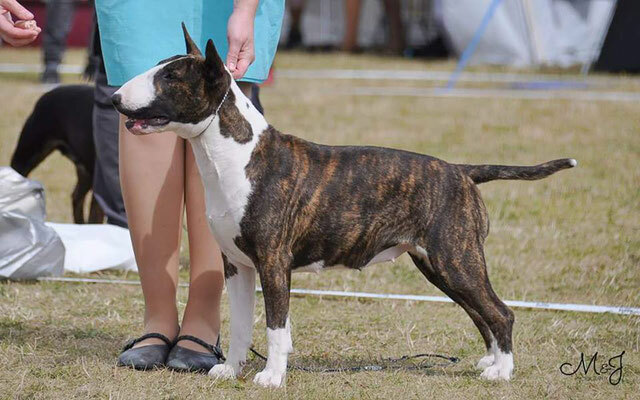 Vestbull Ciquitita - Best of breed baby; Best in show baby 3! 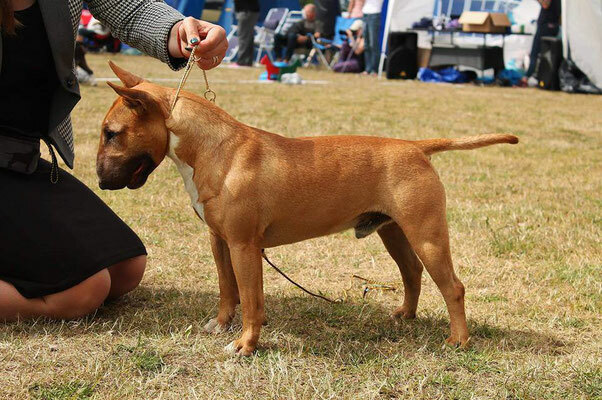 Vestbull Citrine Black Beauty - Best of breed baby; Best in show baby 2! 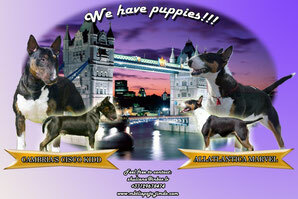 Allatlantica Marvel - BF2; CACIB; BALTIC WINNER 2013! Judge Ramune Kazlauskaite from Lithuania! 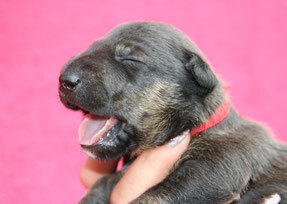 Our puppies was born on 27. june! 8;9.12.2012. 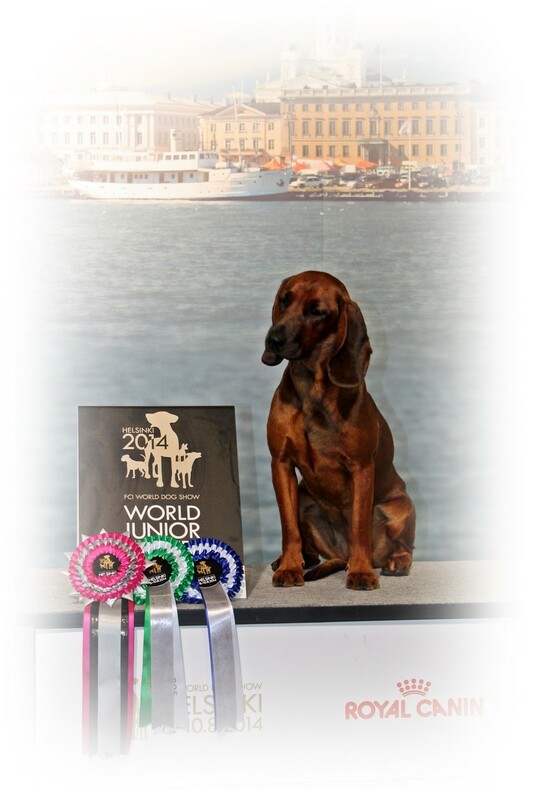 National shows in Liepaja"Ambercoast 2012" & "Amber winter"
During this year(2012) Allatlantica Marvel closed champion titles of 5 countries: Latvia; Lithuania; Estonia; Ukrain and Russia. She is champion of RKF. 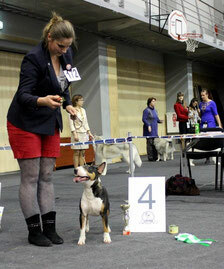 In 2011 year our sweet bull terrier miniature Allatlantica Marvel became Latvian Junior Champion!